Although the following can be applied and used for any web site, I have used a number of examples with reference to Dolphin 7. There are a number of SEO techniques you can do for your site. The more you decide to do or learn to do the more it will help your site. You should realize SEO results are not instantaneous. It does take time for what you do to be noticed and updated by the major search engines, so don't get discouraged if you don't see results or improvements overnight. It takes time so be patient. It is also ongoing and never ending. If you work hard and see results it is important to keep up with your SEO efforts. If you don't, you will surely start to drop. SEO is usually broken down into 2 main categories. On-site SEO, and off-site SEO. Both of which are pretty self-explanatory. 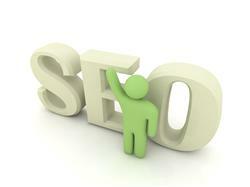 On-site refers to optimization you do to pages and content on your site. While off-site would refer to things you do elsewhere and not on your site. Both of these anyone can do or learn to do if they want to take the time. There is no special college degree in SEO. You can hire someone or some company to do this for you. The reputable companies are spendy. You need to be careful if you hire this out because a lot of them will not do everything they claim. Some do it so fast the quality and accuracy of work performed is very low. Which really won't help you too much. You usually get what you pay for when selecting the cheapest. You should obviously have your site put together and finished or very close to finished. You should have enough content posted to give visitors something to actually look at and read. The search engines also need some content to actually index. If you don't have any content or very little then get busy. Dolphin isn't exactly SEO friendly to begin with. It has got a little better over time and with each new release, but it still lags behind many other scripts in terms of SEO friendliness. Whenever you post anything on your Dolphin site you should always keep SEO in mind. Before you post anything on your site, take a moment to see if you can make it better or more SEO friendly. Just don't go overboard to the point that it starts to look more like spam than interesting or useful. Note: There is no space between the $ symbol and the 1. This is the only way I could get it to post in this tutorial. So Dolarsign1. Hope that makes sense. No spacing on the dollar symbol. ROBOT NAME can be either “robots” for all robots or the user-agent of a specific robot. Ideally keyword density should be around 3%. If you make a post of any kind with 100 words, then your keyword can appear up to 3 times. Note: that is 100 words not characters. If your post contains 200 words, then up to 6 keywords may appear. Use near the beginning of a post and near the end. Do not stuff your post full of keywords and key-phrases, too many keywords can do more harm than good. Today I am going to give you 5 easy tips that will help improve your golf swing in no time. Whether you are a beginner or you have been playing for years, you will find something useful. You should put a little thought and effort into it before posting. This same concept can be applied to anything you post. Whether it's a blog, article, photo, video, etc. Anything really. The Caption (Title) of your post will be the most important, and the content of the post should be directly related to the caption (title). Think about what you believe someone would actually type into google or other search if they were looking for something like this. That way the search engines see the original h1 tag and think it is important, and yet your visitors see the text size at the much more reasonable size you declare in .css. Once you have enough content posted that utilizes SEO, then you can think about off-site SEO and optimization. I will work on posting some off-site SEO Techniques to follow up on soon.